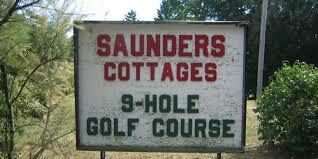 Saunders Golf Course, the only golf course on Put-in-Bay, is Par 3 nine hole course. A lovely way to spend an afternoon with friends, Saunders is challenging, but not too challenging. Interestingly, it is one of the few places on Put-in-Bay where golf carts are not permitted. Odd though it may be, this question pops up on scavenger hunts all the time. Saunders is located down Catawba from the downtown. It is right next to South Bass Island State Park. This small, but beautiful park includes public docks and a waterfront beach. There is also picnic areas and a covered pavilions. Kids enjoy playing on the playground. Saunders holds a golf court every summer aptly named The 7 Iron Classic. It’s always a very fun event to attend. The gift shop sells drinks, snacks, and tobacco products. There is also ice if you need to fill up your cooler. There’s nothing better to than heading to Joe’s Bar after 9 challenging holes. Joe’s, the self-proclaimed “best dive bar on the planet,” is an island favorite with locals and visitors alike. It has a relaxed, friendly vibe and a large, airy patio. Relax with a cold one, or, if you are still in the mood for games, challenge your friends to a game of corn hole. Goat Soup and Whiskey is also right up Catawba for sophisticated dinner. Their soups are just as famous as their perch tacos. This restaurant uses herbs and vegetables grown right in their own gardens. There is nothing fresher!